Ruben Carrasco was born and raised in Mexico where he was exposed to art from an early age through his mother, who has a keen interest in art. His formal art training began when he joined the Visual Arts Institute. He has since furthered his studies at the Anahuac University in Cancun, Mexico, and later at McGill University and Dawson College in Montreal, Canada. in the course of his career he has also worked as a tattoo artist, set designer, muralist, photographer, graphic designer and digital artist, all of which have contributed to his two series, which share similarities in concept and approach while multifaceted in terms of technique and style. A world traveler, Ruben has lived throughout Europe and America working and exhibiting in various countries. Currently, he is based in Montreal where he has collaborated with the General Consulate of Mexico as member of the jury of the Assessment Committee of Art Exhibitions for “Espacio México”. In addition, Ruben founded the international artists collective “5 Wolves No Pigs” and co-founde the art festivals FIAP and IPAF. 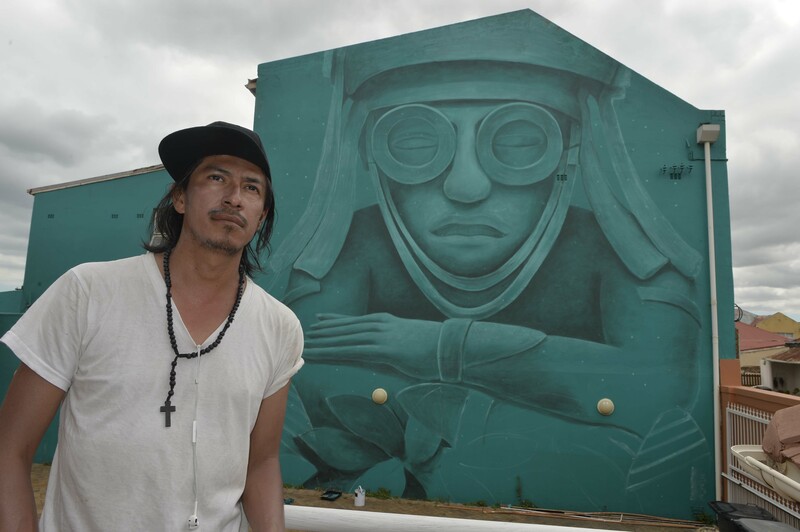 For his contribution to the International Public Art Festival held in Cape Town, Ruben took it back to his roots to deliver something that truly represented himself as an artist while simultaneously resonating with the local context in which the art finds itself. His piece depicts an object of worship in ancient Mexican belief, Tlaloc, which in the Aztec religion was said to be the deliverer of rain, fertility and water. The symbol is associated with bearing life and sustenance. As Cape Town faces drought, he wanted to bring some light and hope to the situation via his mural. 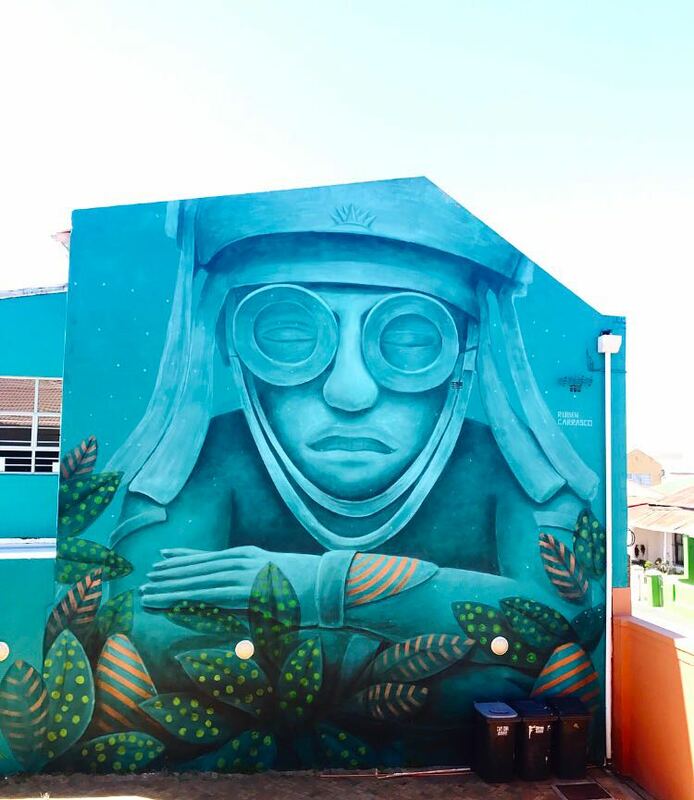 Ruben is the co-founder of the art festival IPAF in Mexico which is a vibrant mural festival that sets out to bring colour to the world and make art accessible to all. The platform allows for amazing insta-worthy backdrops as well as global conversation on multi-disciplinary topics we as humans face on the daily.